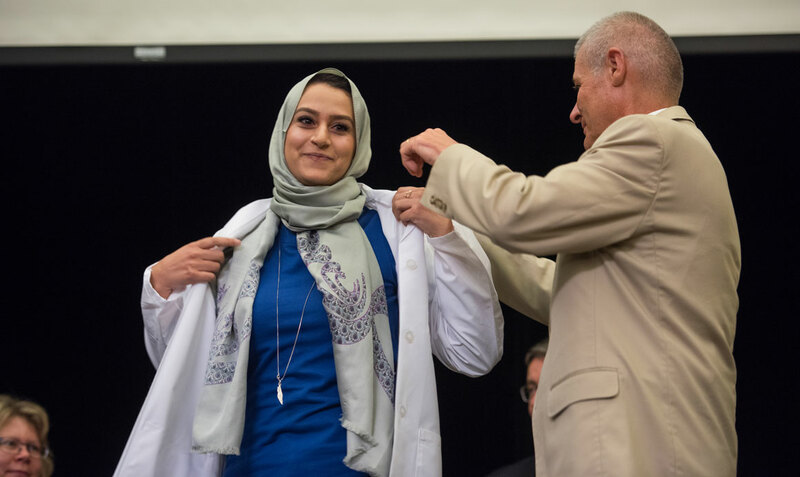 Each year the NC State College of Veterinary Medicine formally welcomes their incoming freshmen into the veterinary profession with their participation in a White Coat Ceremony. 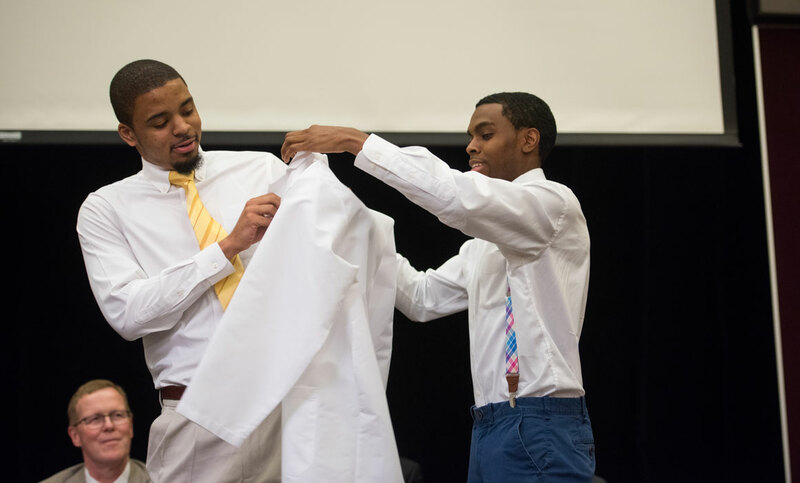 During the ceremony, the incoming class is “cloaked” with a white laboratory coat, a traditional symbol of the medical sciences. As part of the ceremony, the students are asked to recite a veterinary version of The Oath of Geneva. The program began at the CVM by Dr. Ed Smallwood (professor of anatomy, retired) in 2000. 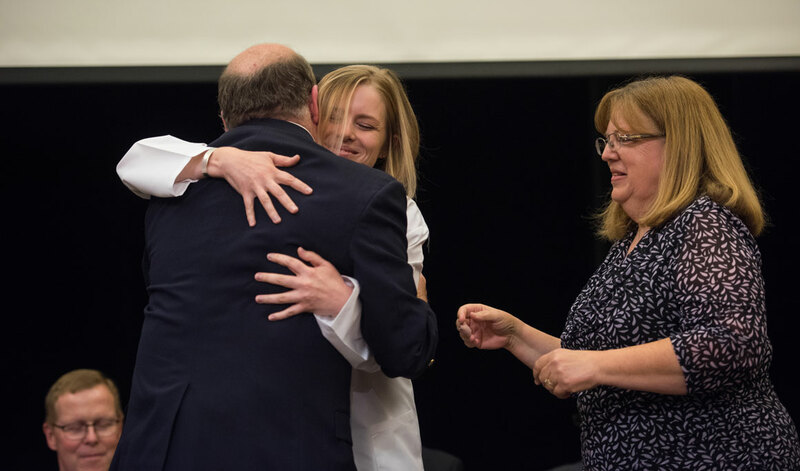 Through their involvement in the meaningful ritual at the beginning of veterinary school, student-veterinarians become more aware of their professional responsibilities. The ceremony impresses upon them the primacy of the veterinarian-patient-client relationship. It encourages them to accept the obligations inherent in the practice of veterinary medicine; to be excellent in science, compassionate, and lead lives of uprightness and honor. It emphasizes for students the veterinarian’s responsibility to take care of patients. The message conveyed is that veterinarians should care as well as cure.